Kathryn Georgina de Beer heads up Kathryn Georgina’s Music School. She has had many years of experience teaching, studying, and performing on stage. Born into a household where her mother taught piano, she was surrounded by music from an early age, performing in her first concert at the tender age of 4. She remained passionate about piano and singing throughout her schooling, and went on to study at UCT, where she obtained her Bachelor of Music in Education in the year 2009. Throughout this time period she had many private students, and even volunteered group music classes at a local school. She was also involved in a few bands and solo projects, performing in Cape Town and its surrounds, as well as being involved in the worship team of her local church. She then went on to head up the music department at The International School of Helderberg in Somerset West. There she gave private piano and singing lessons, lead and accompanied the Junior Choir, headed up a music programme for the High School, started a Glee Club, wrote the script and music for numerous school plays and productions, and much more. She then moved up to Benoni in January 2015, after getting married, and has been teaching privately so as to be at home with her1 year old little girl. She is now excited to start teaching ona morefull time basis, and hopes to provide the Benoni community with a valuable service: Filling it with music! Diplomas and certificates available on request. Music is an incredibly diverse art form, and it is well known that the benefits of playing an instrument are beyond compare. When playing an instrument, both sides of the brain are utilised, unlike any other activity. This strengthens one’s ability to think laterally, accessing different parts of the brain simultaneously. This becomes extremely useful in children’s ability to learn, as they are able to grasp concepts more readily. 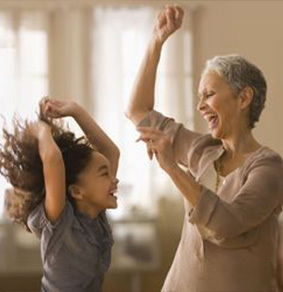 It is also useful to those older in years, as it is great exercise for the brain, helping strengthen memory and the ability to perform both new and day-to-day tasks. It also promotes focus and discipline. 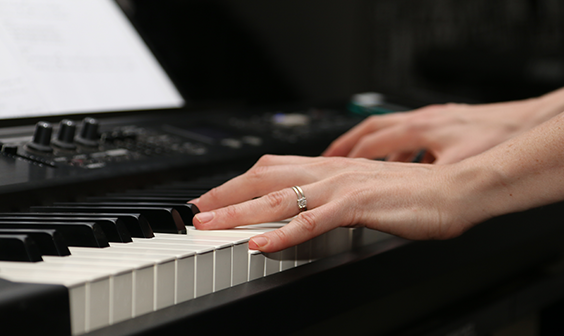 Dedicating oneself to practising daily requires self-discipline, and the art of playing and reading music means the student must focus on the task at hand. It is great for co-ordination, especially where playing the piano is concerned. Because both hands are working simultaneously, and one needs to read and play and hold the correct posture, it promotes better control of one’s body, and ability to perform tasks in a more graceful manner. Last, but not least, playing and listening to music promotes a stronger sense of self, creating calm and wholeness in one’s being. When playing/performing music one learns to set aside problems of the day, and is able to create a space of calm within. Performing before others can be greatly fulfilling and reaffirming, as one shares with others one’s skill and passion. Why Choose Kathryn Georgina's Music School? With many years of experience teaching, studying, and performing, Kathryn can offer you lessons of an exceptional standard. A youthful and vibrant approach to teaching, in an environment geared towards encouraging creativity. No matter your level of experience, whether just starting out, or wanting to revive an old talent, we can offer you a curriculum suited to your needs and learning ability.